Finding good fundraising ideas for school, work, or an organization can be a challenge to say the least, especially if you have never done it before. Even if you are a fundraising-expert, it can be stressful, time consuming, and earning expectations often end up not met. There is huge demand for fundraising all over the world, and it is very important to find a fundraising idea that has products that are easy to sell, high quality, and in demand! That’s where we come in. Hope & Harmony Farms is a 4th generation peanut farm that offers the finest quality, super extra-large Virginia Peanuts that are all home-grown, hand-cooked and hand-packaged on our farm; with a commitment to be all natural, no additives or preservatives, NON-GMO, and Gluten Free. We offer a variety of traditional Virginia peanuts, flavored Virginia peanuts, Virginia peanut candies, cashews, almonds and pecans. School fundraising ideas were never this tasty before- if you don’t believe us try our product yourself! The ball starts rolling when you fill out the fundraiser contact form below. As soon as your form is completed and sent, we will send you an email verifying receipt of your inquiry. Hope and Harmony Farms will contact you within 48 hours of receiving your email, so you won’t waste any time getting started. We understand every group is different and we will do our best to make sure all your needs are met. Whether you’re looking for school fundraisers, sports team fundraisers, or anything you can think of, we can help you meet your earning goals. Q: Who do I contact if I have a fundraising question? A: Please call us by phone at (434) 658-9500 of by email at hopeandharmonyfarms@hopeandharmonyfarms.com if you have a question regarding our fundraising program. Q: Why is Hope & Harmony farms Fundraising Program Unique? A: Hope & Harmony Farms offers fresh, gourmet quality products. We are fourth generation peanut farmers that hand-cook our very own peanuts in small batches and ship them directly to the customer. Not only do we offer two fundraising options, we also have a BONUS program that will aid every organization in increased sales and profit. A: Any non-profit organization such as a school, community, or charitable organization that is interested in raising funds. Q: How do I sign-up for Hope & Harmony Farms fundraising program? A: There are three ways to sign-up, either visit our website and complete the contact form or contact Hope & Harmony Farms at (434) 658-9500 or hopeandharmonyfarms@hopeandharmonyfarms.com to register by phone or email. Q: What fundraising tools does Hope & Harmony provide? A: Once we receive your information sheet, we will send you the requested number of fundraising packet and order forms. We will also send you the necessary information to make your fundraising experience a success. Q: Who do customers make checks out to? A: All customers writing checks should make them out to your organization. We recommend filling in the organizations name at the top of each order form in the exact way in which customers should write their check. Q: Who does the organization make their check out to? 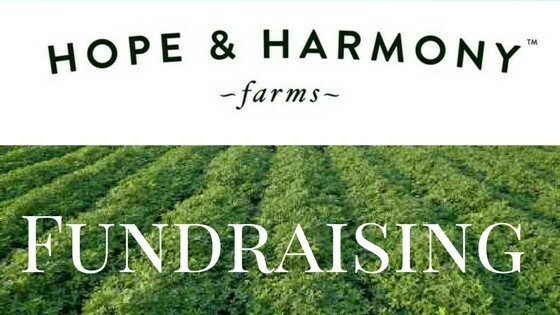 A: At the end of the fundraiser, once all funds are accounted for and order forms are received by Hope & Harmony Farms, the organization should make ONE check out to: Royal Oak Peanuts. Q: When will orders be delivered? A: After order forms are completed and sent to Hope & Harmony Farms we will process them immediately. We will start cooking and packaging your order as soon as the payment is received by Hope & Harmony Farms. Order should be delivered within 14 days of receipt.